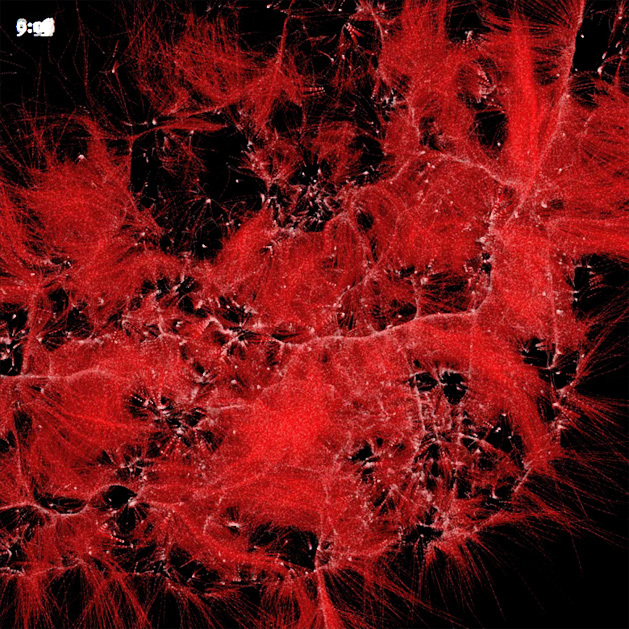 Lisbon’s Blood Vessels: a cartogram and a metaphor | Visualization et al. 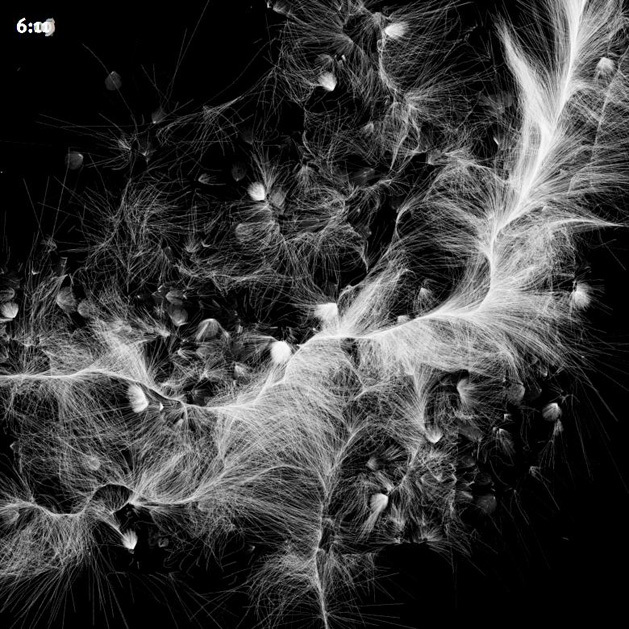 The vessels’ visualization, with crude aesthetics that are innate to the visual metaphor of an organism with circulatory problems, pulsates for each rush hour and stresses precisely which roads are congested. The project was re-implemented in order to react to data more accurately, implementing my own model for a contiguous edge-based cartogram. 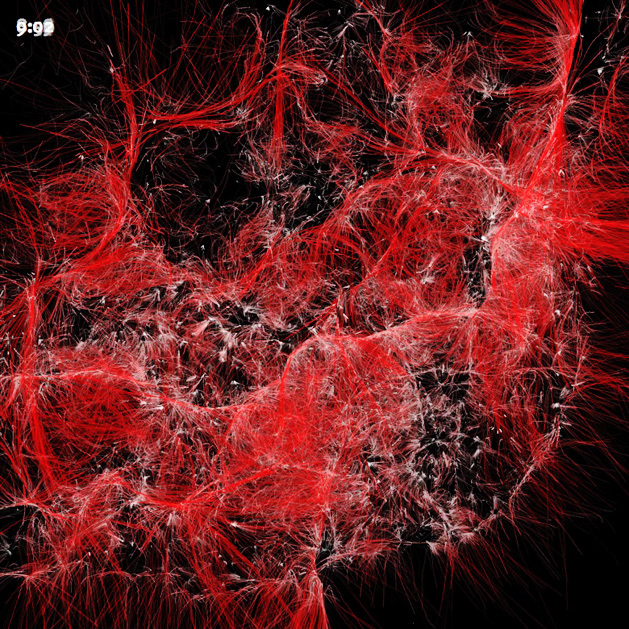 This cartograms that distorts with the velocities of the vehicles on the roads, is used to map two visualization models: one more classic and the blood vessels one. The vessels themselves were improved, pulsing with traffic and having particles traveling inside them which represent traffic density. The new vessel’s features were implemented by António Cruz. For the curious, this project had several failed attempts to attain this metaphor using swarms and particles.